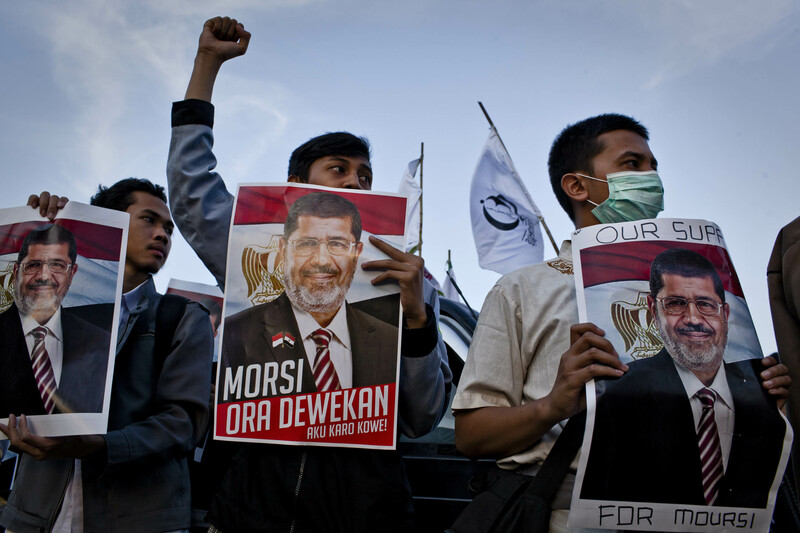 Attempts to end the standoff between Egypt's interim government and the Muslim Brotherhood have crashed and burned. In the past two weeks, leaders from the United States, the European Union, and Arab Gulf states have headed to Cairo in an effort to help to resolve the impasse between the new military-backed government and Morsi supporters. But by Wednesday, it became clear that diplomacy wasn't going to get the job done. "These efforts did not achieve the success that was hoped for, despite full support provided by the Egyptian government," interim President Adly Mansour's office said in a statement. "The state of Egypt appreciates the efforts of friendly nations and understands the reasons why they did not achieve their desired objectives, and holds the Muslim Brotherhood full responsibility for the failure of these efforts." Among the foreign envoys who teamed up in Cairo to try to broker an agreement were Sen. John McCain (R-AZ) and Sen. Lindsey Graham (R-SC) who called for a peaceful reconciliation between the two groups. President Mohammed Morsi, a longtime Muslim Brotherhood leader, was ousted from power by the Egyptian military about a month ago. Since his removal, the Brotherhood has staged protests against the new government including sit-ins. In the weeks since, more than 250 people have been killed. An estimated 130 of those deaths were members of the Muslim Brotherhood who were killed in confrontations with the new government's security.